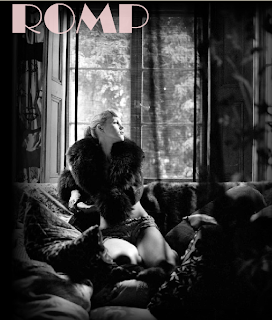 Straight off the presses ROMP the adorably film noir-esque eco friendly organic, sustainable and all that good stuff boutique that has everything from clothes, lingerie, luggage etc. etc. is moving to LA... those lucky west coasters! Be sure to check out their site it has lovely photography and of course the products are amazing as well! These are great pics - you know something crazy........ they were taken in my old office on Portland Place in London. How mad is that? xfrancis. p.s. for Francis Girard -- seriously? Very cool.